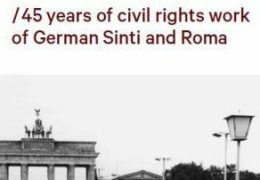 The Central Council of German Sinti and Roma was founded in February 1982. It is an independent umbrella organisation for 17 national associations. Based in Heidelberg, it is an advocacy group representing the interests of the German Sinti and Roma on the level of policy and civil rights. The Central Council advocates the equal participation of Sinti and Roma in politics and society, and the protection of and support for Sinti and Roma as a national minority. As part of its civil rights work, it is engaged in continuous dialogue with state and regional governments on the implementation of the “Framework Convention for the Protection of National Minorities” in Germany. 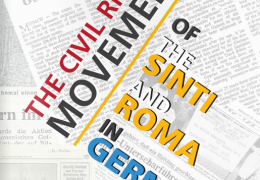 Due to the efforts of the Central Council, in 1995 the German Sinti and Roma were officially recognised as national minority and – in accordance with the “European Charter for Regional or Minority Languages” – the German Romany was recognised as a minority language. At the international level, the Central Council represents the interests of Sinti and Roma at conferences organised by the EU, the European Council, and the OSCE. It is also a member of numerous national and international minority organisations. The self-defined primary function of the Central Council is to represent the interests of German Sinti and Roma. However, it also comments on and opposes racist and discriminatory measures and activities abroad, and calls for a better protection of the Roma minorities. Furthermore, the Central Council supports and implements concrete projects that aim at improving the living conditions of the Roma (e.g. housing projects in Romania, Hungary and Slovakia). For this purpose, it works closely with Roma organizations in the countries concerned.